By using our repeat prescribing system, you can save time by not having to come in to see a doctor each and every time you run out of prescriptions. We can take repeat prescription requests in person at the surgery or by post. Alternatively why not try our on-line repeat prescription service via the link at the top of this page? Please ask at reception for details. We do not take repeat prescription requests by phone. If you look at your prescription, you will see a list of your repeat medications on the right-hand side. All you need to do is tick the ones you want and hand this in at the reception. Each request for repeat medication is reviewed by a doctor. If he or she feels that the request needs to be discussed, he or she may call you, or ask you to attend to see a doctor. Not all medications will be available for you to ‘tick’ on the repeat side of your prescription. Please allow 72 hours for your repeat prescription (not including weekends). A new system has been created to make it easier for you to pick up your repeat prescription. It is called the Electronic Prescription Service or EPS for short. The Electronic Prescription Service is an NHS service that sends your prescription from your GP surgery to a Pharmacy of your choice without the need for a paper copy. With EPS you will not have to visit the practice to pick up your paper prescription anymore. EPS is reliable, secure and confidential. Your electronic prescription will only be seen by the same people in GP practices and pharmacies who see your paper prescription now. If you are interested in using the Electronic Prescription Service please speak to your preferred chemist or ask at reception for further details. If you feel that the prescription is urgent, please tell the receptionist when you hand in the script – please try to plan ahead; urgent requests reduce the efficiency of the service, and use up valuable doctor time. For housebound patients many of the local pharmacies offer a home delivery service and we are happy to liaise directly with them. If you have a long-term chronic condition, which is well controlled, we may well be happy to issue longer prescriptions of up to 3 months. Please discuss this with your doctor at your next appointment. 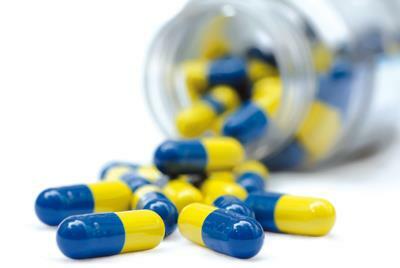 Last, but by no means least – all patients who are on any medications, will need to be reviewed at least once a year. Please do not be surprised if you are asked to come in for an annual review by the surgery. If you have been given a private prescription by a consultant you have seen, the GP will decide whether it is clinically appropriate to convert this into an NHS prescription. We will not issue medications without a clear written prescription and a letter from the consultant. In the interest of patient safety, please note that a private prescription cannot simply be converted to a NHS prescription. Many drugs that are prescribed in the private sector cannot be prescribed on the NHS. GPs must agree with the treatment as they take full legal and clinical responsibility for all prescriptions they sign. The doctor must therefore make an assessment as to whether they feel competent to take on this responsibility since the patient has been clinically diagnosed by another specialist healthcare professional - and so this takes extra time. With certain medications the consultant needs to be responsible initially, until the patient is stabilised on the medication. In some cases the GP may not feel happy to issue the prescription and so the private or hospital prescription will be returned to you. The private prescription request will be considered by a GP - it will not be issued automatically and you may be requested to come in for a face-to-face or telephone appointment with a GP. In this case, you will be contacted. Please be aware we are an NHS practice and are governed by local prescribing policies which change from time to time.